Premium Location: Dubai - 10% Off! 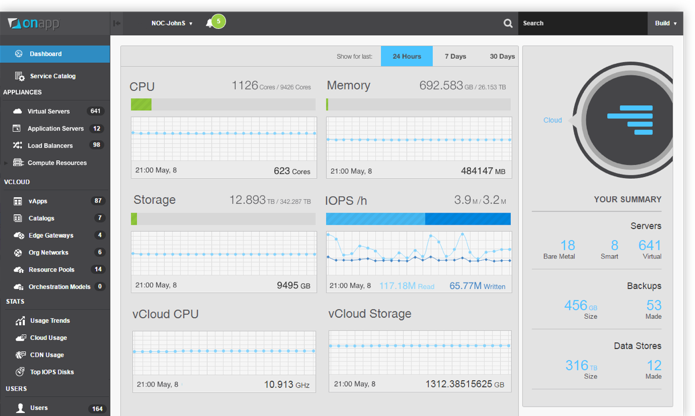 Experience highly scalable cloud and VPS on the world's fastest managed hosting platform. 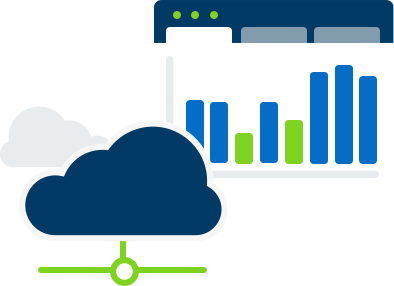 Combining a decade of experience with OnApp cloud software with enterprise-grade platform architecture to provide unrivalled performance and 100% uptime in 21 locations worldwide. Scalable cloud resource. Create several fast VPS instances in one place and use our powerful interface and tools to get the most out of your servers. Features include private networking, secure firewall, scheduled backups and template creation. Provision a single ultra fast VPS in seconds. Choose your specification, operating system and location, then deploy instantly. All of the features, none of the set-up. High-availability without complexity. Let us create your managed, load-balanced, highly-available environment with advanced monitoring and real-time usage statistics in a few simple steps. Take control of your cloud, provision fast VPS from anywhere with our mobile apps, resell the world's fastest managed cloud and VPS platform with our WHMCS and Hostbill Modules or dig deep into our extensive RESTful API. Managed physical hardware and cloud software stack, providing you the ultimate in performance, isolation and security with zero resource contention in any of our cloud locations world-wide. We combine our industry-leading platform performance with the total security of a fully isolated environment to provide you with a dedicated control panel, hosts and block storage array, managed by us, anywhere in the world. Dediserve has worked with OnApp since inception, unlike other providers who use the software "out of the box" we have fine-tuned and customized our platforms over the course of a decade to be the fastest available, whilst retaining the enterprise features and platform architecture our business customers expect from a top-tier provider. With a total of 20 locations across Europe, America, Asia, and Australia, get the same top-tier service no matter where you choose to deploy. Never get hit with an unexpected bill again! Select your specification, and enjoy the flexibility to upgrade/downgrade mid-term at no penalty. No hidden fees, ever. Uptime all the time, guaranteed. With real-time status updates and monitoring alerts available via our dedicated statuspage, never worry about costly downtime again. Powerful and intuitive interfaces and tools at your disposal. One-click deployment, firewall, backup, and private network features as standard, no expert required! Comprehensive, friendly, 24/7 support as standard. With OnApp certified admins on hand, and a decade of experience in enterprise cloud, we're always here for you. Built from the ground up to be fully-redundant. We use Intel CPUs, Cisco networking, Enterprise-grade SSD arrays and off-cloud backup storage to provide a best-in-class cloud. 21 locations in 4 continents host our 100% uptime global clouds. Deploy today! Enjoy comprehensive customer support. With round-the-clock monitoring and alerting, rapid incident response, and on-demand patching, security and updates available, we deliver a complete support experience.